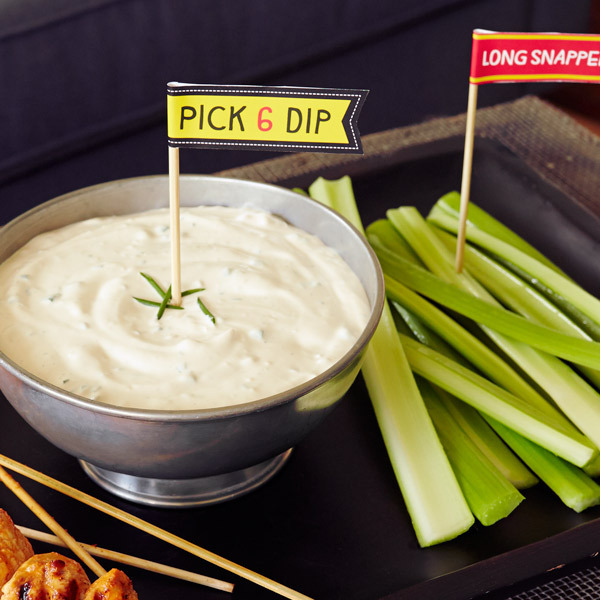 Made with just 6 simple ingredients, this cool and creamy blue cheese dip pairs perfectly with our spicy buffalo chicken kabobs or fresh veggies. Make this deliciously dippable blue cheese sauce about an hour before you’re ready to serve it to allow the flavors to blend. Mix sour cream, mayonnaise, blue cheese crumbles, lemon juice, Worcestershire sauce and chives.